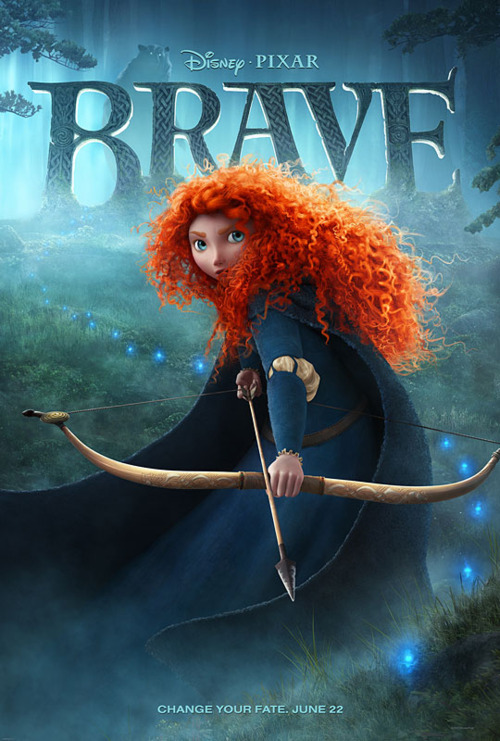 Ladies and Gents, Brave is being released this weekend. Anyway, apparently a Ms. Emma Coats of Pixar released via Twitter 22 guidelines for storytelling that she and her colleagues have learned throughout the years. They are pretty good, so I thought I’d share them here with all of you. 01. You admire a character for trying more than for their successes. 02. You gotta keep in mind what’s interesting to you as an audience, not what’s fun to do as a writer. They can be v. different. 03. Trying for theme is important, but you won’t see what the story is actually about til you’re at the end of it. Now rewrite. 04. Once upon a time there was ___. Every day, ___. One day ___. Because of that, ___. Because of that, ___. Until finally ___. 05. Simplify. Focus. Combine characters. Hop over detours. You’ll feel like you’re losing valuable stuff but it sets you free. 06. What is your character good at, comfortable with? Throw the polar opposite at them. Challenge them. How do they deal? 07. Come up with your ending before you figure out your middle. Seriously. Endings are hard, get yours working up front. 08. Finish your story, let go even if it’s not perfect. In an ideal world you have both, but move on. Do better next time. 09. When you’re stuck, make a list of what WOULDN’T happen next. Lots of times the material to get you unstuck will show up. Brilliant. Anyone want to go with me to the movies this weekend? Give credit where credit is due: I first read these at Screen Crush [link], and they were originally published through Emma Coats’ Twitter account [link]. This entry was posted in Inspiration, List, Writing and tagged Brave, Pixar, Storytelling, writing. Bookmark the permalink. I may have to re-blog this, which is something I have never done. That will make the chain even longer!